Good project for beginners and children. 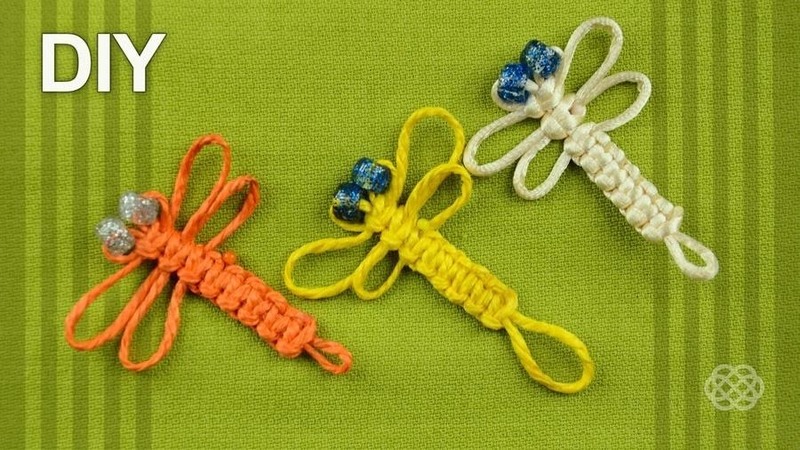 It can be an interesting camp craft for idle time to keep young hands busy. These dragonflies can be made into brooches, hairclips, keyrings, keychains, clothing decorations, and whatever else strikes your fancy. Here is used a square knot.